The European spindle tree, Euonymus europaea, is a deciduous UK-native tree that is most identifiable by its clusters of white flowers that appear in early summer, transforming into vivid pink fruits with bright orange seeds by the autumn, also the time when the leaves turn a spectacular shade of crimson. A mature spindle tree is likely to grow to nine metres in height, and will often live for more than 100 years. Wildlife loves spindle trees thanks to their abundance of berries and dense protective growth. Why prune a spindle tree? 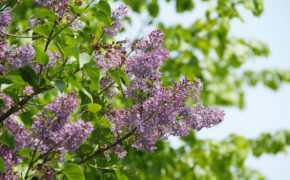 The spindle tree is often used by garden landscapers as a focal point for flower beds, in which the tree is usually pruned to remove the lower branches. Spindle trees are also commonly used as hedging plants, in which case they tend to look best if left mostly to nature’s own devices. Sometimes spindle tree growth can become congested. In such cases it is necessary to cut back misplaced stems to near ground level. Overly long shoots can make the tree look unbalanced and may take it out of its boundary. To counteract this simply shorten the offending shoots. It is also possible to rejuvenate a neglected spindle tree with careful pruning. A good method is to cut out one stem in every three each year. Begin with the oldest stems and keep going until the entire plan has been rejuvenated. When is the best time to prune a spindle tree? February is the best time to prune a spindle tree, although if you are shortening long branches then you can do this at any time of the year providing your work is not overly drastic. 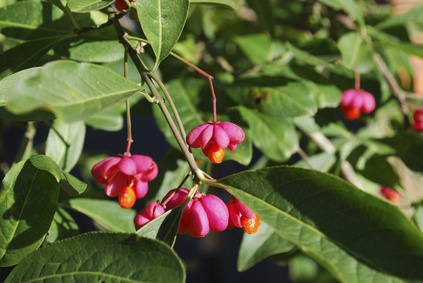 The spindle tree is prone to various pests and diseases, although most are not serious other than spindle scale, also known as euonymus scale. 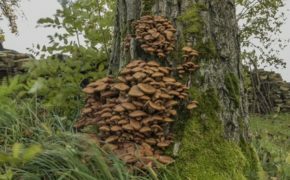 This has become a widespread problem across England and is known to cause severe dieback. The scale is a small sap-sucking insect that infests the stems and foliage of the tree. It has been a problem in Britain since the 1950s and is identified by its soft flattened body covered by a scale or shell. In heavily infested plants you will see a yellow coloured mottling on the foliage followed by extensive leaf shedding and dieback. Spindle trees may also be affected by the vine weevil and spider mite. The vine weevil is an extremely common garden pest. Adult weevils eat leaves whilst the grubs cause extensive damage by feeding on the roots. Affected plants wilt and eventually die. Never proceed with any tree work without first checking whether a Tree Preservation Order (TPO) is in place. If there is one, you must apply to the local authority for permission to go ahead This will usually take up to eight weeks to be granted. In addition, if the tree is situated in a conservation area, you will need official permission before proceeding with works of any kind. The spindle is a very attractive tree and if you want to keep it looking its best, sometimes you’ll need to hand over to a qualified tree surgeon. They’ll know precisely how and when to prune a spindle tree and take care of it in order to keep it looking beautiful and healthy. They’ll also know how to spot the common diseases associated with the spindle tree and will be able to deal with them effectively. When selecting a tree surgeon, be sure to check their references and certificates to satisfy yourself that they possess the qualifications and knowledge they claim to have. When possible, choose a tree surgeon with Trading Standards and local authority approval for a guarantee of quality and value. If you have a spindle tree that requires pruning or care, why not get in touch with the specialists at T.H. Tree Services? As fully qualified, locally respected and long term experienced Trading Standards and local authority approved tree surgeons, we are well placed to offer expert knowledge in all aspects of spindle tree pruning. For a free, no-obligation quotation, call 01268 642814 or get in touch here.